For years, Energy In Depth has exposed how out-of-state anti-fracking groups have parachuted into our communities to push misinformation while pretending to be “local” groups. Lately this phenomenon has been taken to a whole new level by the “Keep it in the Ground” movement. 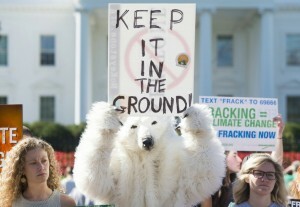 These activists would have you believe that they are a “local” grassroots campaign fighting to stop fossil fuel development, but in reality, their group is spearheaded by a number of deep-pocketed national anti-fracking groups and the Guardian’s “Keep it in the Ground” movement, which was launched in the United Kingdom. Over the past few months, after declaring that stopping development on federal lands is the next “key fight,” “Keep it in the Ground” has staged a number of local stunts in Ohio and Colorado to protest the U.S. Bureau of Land Management’s (BLM) mineral leasing program. However, and in spite of these campaign efforts, the U.S. Department of Interior’s Bureau of Land Management decided last week that they intend to move forward with oil and gas development on federal lands, stating, “We go out of our way to make all of these oil and gas lease sales open to the public.” BLM Director Neil Kornze also added, “The BLM is proud of the role we play in supporting responsible energy development on public lands.” This makes sense considering that the data show that oil and gas development on BLM-managed lands support 291,000 domestic jobs and over $77 billion in economic output. Despite the fact that “Keep it in the Ground” protestors pretend to be “local” concerned citizens, the movement is anything but. 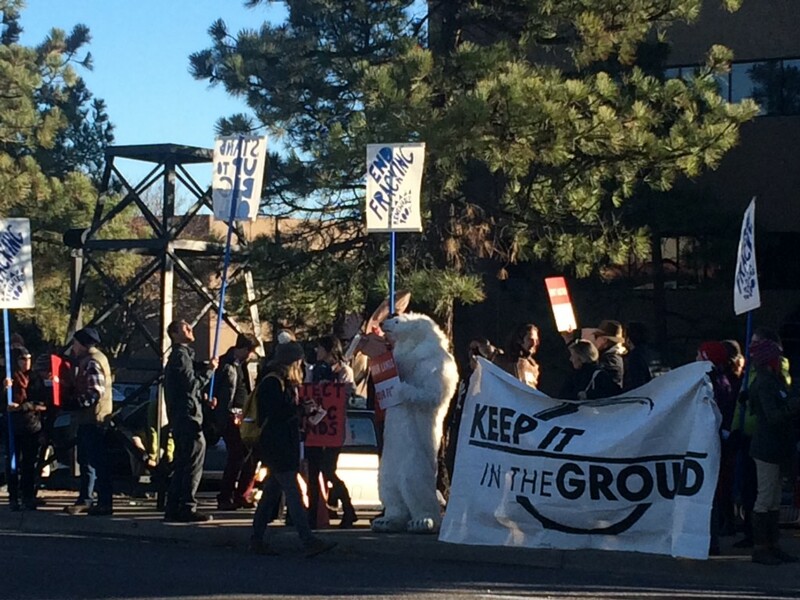 In fact, the “Keep It in the Ground” movement is part of the larger failed campaign for global divestment. The name itself originated with Alan Rusbridger, the former editor-in-chief of the UK Guardian, who teamed up with “divestment” groups in the United States (like 350.org) to launch the effort. “Around Christmas 2014, the outgoing Editor in Chief of the Guardian, Alan Rusbridger, was mulling over what regrets he had in 20 years of running the newspaper. Very few – except for coverage of climate change. I don’t think the decision to spend his last few months as editor doing campaigning journalism was an easy decision, but I think it’s the conclusion Rusbridger came to: the climate change threat is central to everything. The Guardian, and its partner 350.org, announced in April 2015 that the Guardian Media Group would divest £800 million in fossil fuel assets. They also tried to get momentum behind forcing the Gates Foundation and the Wellcome Trust to divest their assets, but these organizations refused. In fact, divestment campaign has failed miserably as academic institutions and foundations, have consistently called the idea “misguided” and a “false solution.” As a result of this failed effort. The Guardian and 350.org have shifted their focus to what they have said is the next “key fight” – to keep us from developing on federal lands. 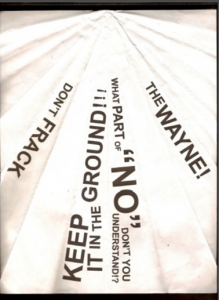 “Keep it in the Ground’s” national groups are on the ground carrying out its mission. For example, 350.org, the Center for Biological Diversity, Greenpeace, Food & Water Watch and the Rainforest Action Network and a number of other groups have deployed teams of activists to show up in Ohio and Colorado to oppose oil and gas development on public lands. After staging a recent rowdy protest at the White House, the Center for Biological Diversity’s mascot, Frostpaw the Polar Bear, and teams of national ban-fracking activists, hopped on a plane (powered by fossil fuels) and flew to Colorado, where they proceeded to block the entrance to a federal government office’s parking lot, despite repeated requests from local law enforcement that they vacate the premises. “Frostpaw the Polar Bear” flies in to make in appearance in Colorado. 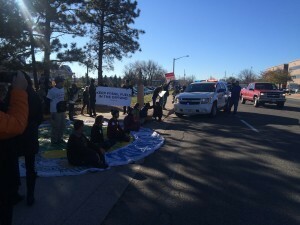 Police respond to Colorado federal office as Keep It in the Ground block entrance to the BLM. From Colorado, the activists hit the road again (using fossil fuels) and crisscrossed the United States to appear in Ohio, where they organized an effort that included disrespecting U.S. federal employees. 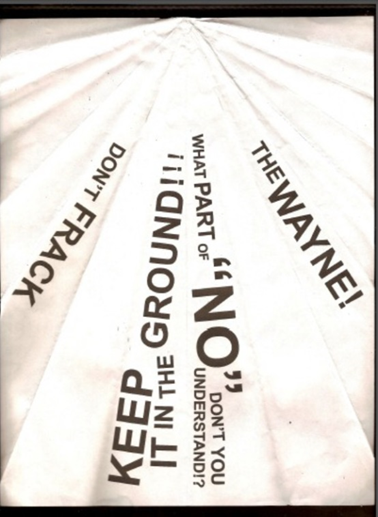 To appear “local” in Ohio, the activists partnered with Buckeye Forest Council (an Ohio-based ban fracking group) to distribute shirts that are worn at the protest, as well as “Keep It in the Ground” flyers, which were made into paper airplanes and thrown at BLM employees. The protest was so out of hand, that authorities were forced to shut down the meeting. Take a look at how all this went down. 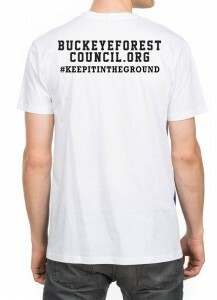 Keep It in the Ground” tries to appear “local” with Ohio based Buckeye Forest Council. 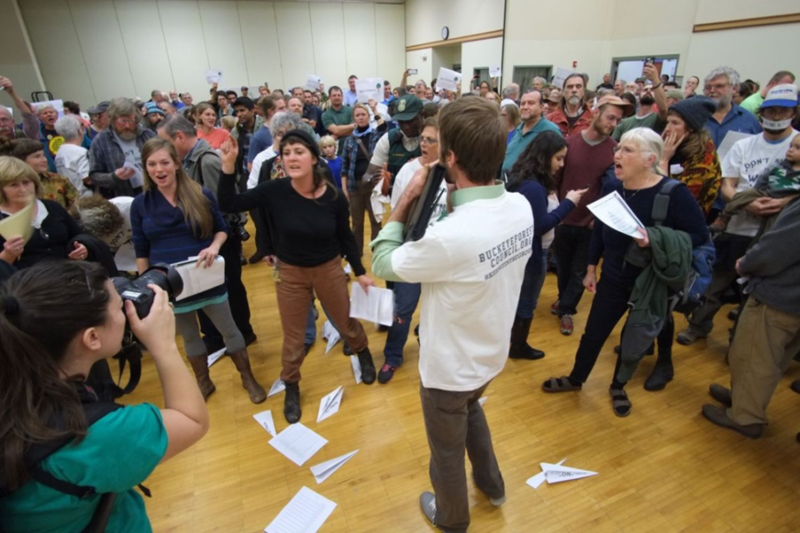 Protesters, wearing “Keep It in the Ground” shirts shouted at federal government employees, and proceeded to throw paper airplanes at BLM officials. 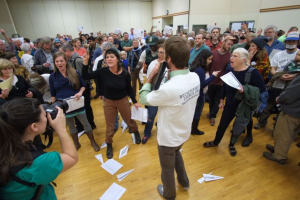 Paper planes that were thrown at BLM staff, including “Keep It in the Ground”. Recently, the “Keep It in the Ground” campaign wrote a letter that calls for a “moratorium on new oil and gas leasing.” This came just after the BLM extended its public comment period on its pending environmental assessment regarding leasing in the Wayne National Forest. In line with its campaign, the Guardian has also been putting out hit piece after hit piece on fracking, the latest being an article targeting Florida for its current efforts to streamline its regulatory process through one single agency (much like Ohio and other states with similar regulatory landscapes). Further, it’s precisely because of fracking, and the increased use of natural gas, that the United States has achieved dramatic reductions in greenhouse gas emissions. Even the Intergovernmental Panel on Climate Change, which activists have called the “gold standard” for climate science, has said, “the rapid deployment of hydraulic fracturing and horizontal drilling technologies…is an important reason for a reduction of GHG emissions in the United States.” In fact, thanks to natural gas, carbon emissions from electricity production have declined to a 20-year low in the United States. Natural gas has reduced nearly 60% more carbon dioxide emissions than renewables since 2005. What’s more, the shale revolution has given the U.S. an incredible competitive edge, and benefits have trickled to our domestic manufacturers. This development has provided hope that Americans will once again predominantly see labels on their clothes and toys that say proudly, “Made in America.” As the report states over and over, in the 72 pages of study, the results are in and shale is a clear win-win for the United States and Ohio from an economic AND environmental perspective. If the “Keep It in the Ground” movement were truly focused on lowering global greenhouse gas emissions, they would actually advocate for fracking and natural gas development, not against. Authentic local concerned citizens understand this. That’s why elected officials, statewide groups, and local stakeholders continue to speak out in opposition to this radical and misguided campaign, which will inevitably be yet another “false solution”.